No issues. Gigabyte's software is nice enough to control the hardware. This one doesn't give LED light control so much, sadly. It was a budget motheroard but hasn't given me many issues. It has an orange accent Led which is easy o turn off. It has a decent amount of fan headers. The bios is easy to use and the auto fan curves are good. 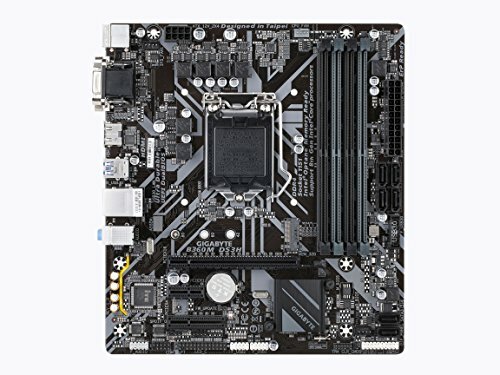 Easy to work with and well laid out board design it gets 4/5 only because of the smaller then MATX board size. Works like a charm. I'm not an overclocker, so something simple was all I really needed. Went a step up from the H110 I had previously and I am glad for it. 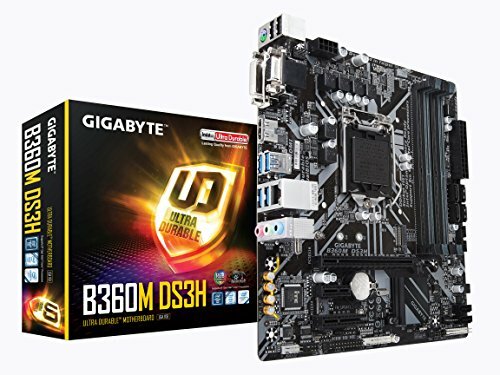 Easy bios, not much fuss about anything during the whole installation process. Very compact though, so if you aren't great in a tight space you might want something bigger to work with. Cheap board with decent aesthetics. This was selected based on price, and 4 Ram Slots at time of Build. Board worked without issue, but I wish they would have included the motherboard documentation in the box. Had trouble understanding the Memory instructions as it seemed to imply that they had installed the memory channels side by side instead of alternating. Also had trouble with getting the case I/O working properly as I didn't have the case documentation at the time. Driver disc includes a bunch of unnecessary applications, AV software, etc. You don't have to install any of this but if you do the XPress install as recommended you get all of it. As far as the BIOS features go I can't comment too much there. I've seen better GUI setups, but this BIOS is laid out well enough to get the job done. I've read the Fan Control is decent but we won't be using that yet as the case fans are all Molex/3-pin. I give this a 3.5 but I'm going to round to 4 instead of down as I didn't have any major issues during the build. 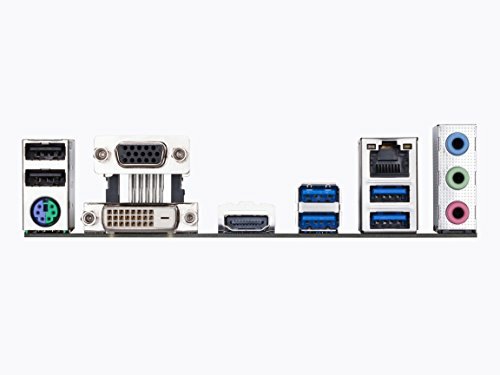 Works great, didn't realize it was a micro ATX when I bought it, I would have gotten a full size mobo. The Bois seems a little dated, but you get what you pay for. it auto detected that there was a GPU in the slot, before I could download my drivers, so I had to unplug the GPU, and set bois boot options to where it was booting from motherboard and not the GPU. Simple motherboard. Although some may think it looks plain, I personally like the look of it. BIOS is easy to use and haven't had any issues with it. Only problem is that I wish it had more case fan ports. 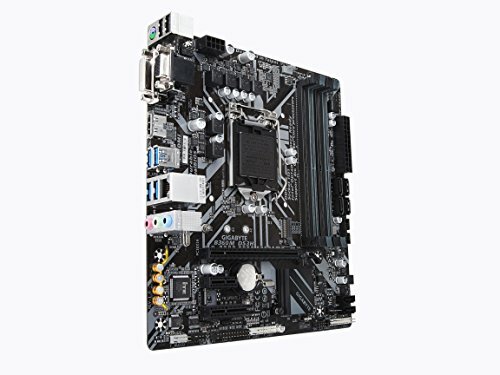 Overall good looking motherboard, impressive max RAM for just $70, DDR4 RAM, 4 USB 3.0s. It's a wonderful motherboard and I am very happy with this purchase. The only cons are that when I purchased my Corsair H60 CPU cooler, the back plate did not fit onto the motherboard so I had to return it and get a new one. The ports also were a pretty tight fit and needed some effort to fit in. However, I can't complain for $70 and all the other features. 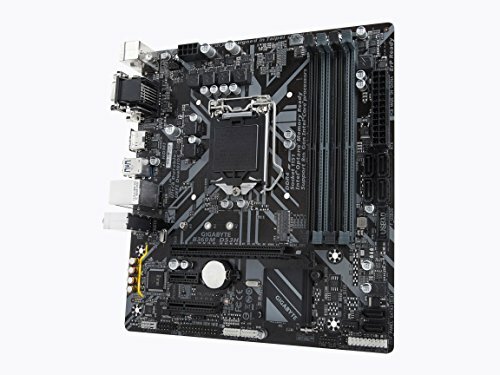 Overall recommended for a simple motherboard. An OK motherboard. Of course, for $59.99, what can you expect. For the price though, it was surprising how good quality it is. Would recommend.